Ik vind het een best tof spel,je hoeft eingelijk niet te vechten,maar je traint alleen je kaarten. “Fun game”? I think not. This game is very unfair. Not to sound like one of those 8-year-olds who smash their phone when they lose one game, but this is getting redicilous. I’m currently level 7, at the Royal Arena. 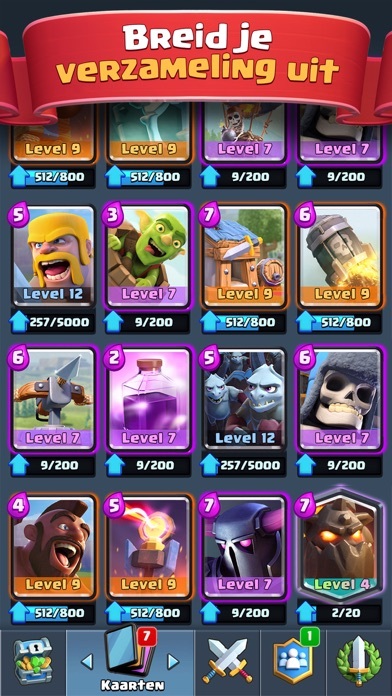 I have been trying to get more than 2050 trophies, but each time I reach 2040 and I’m doing very good, I have to battle against a level 8 player, or let’s just say, the only players I battle are level 8’s. 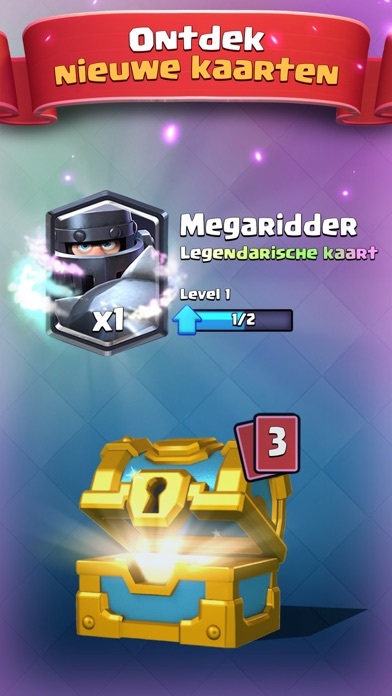 When I got a legendary chest (which happened twice since I started playing), I got bad cards. 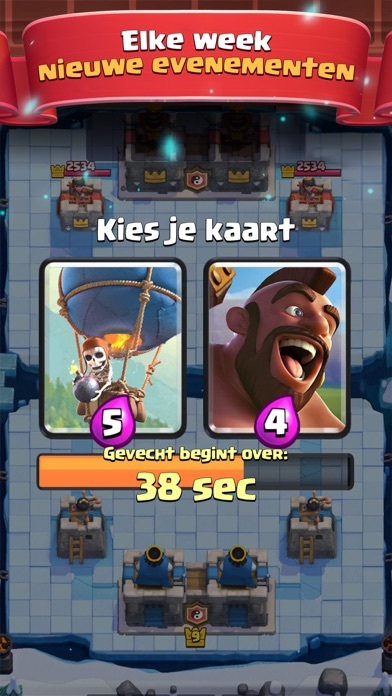 Two times bad cards, while the game said: “Contains a legendary card from ANY arena!” There are also very much overpowered cards, like the inferno dragon or the rage spell. I don’t have any overpowered card. I know the developer is not going to take any actions, because they don’t read these comments or reviews. I just want to warn people, this can be a fun game, if you’re in luck, but for me, this is a no-go. 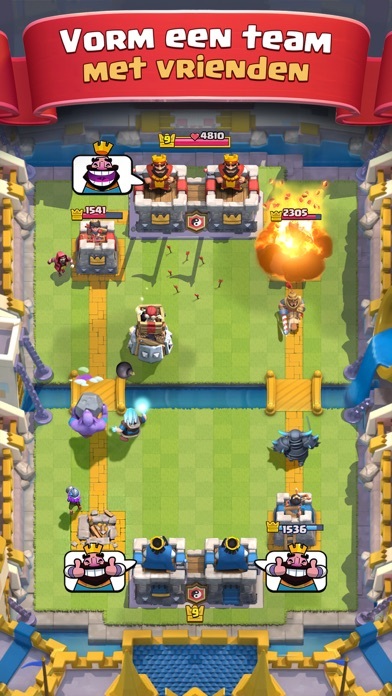 And Supercell, if you did look at my review, please make better matchmaking, and not let super overpowered players ruin the game for players who do want to play it the way it’s supposed to be. 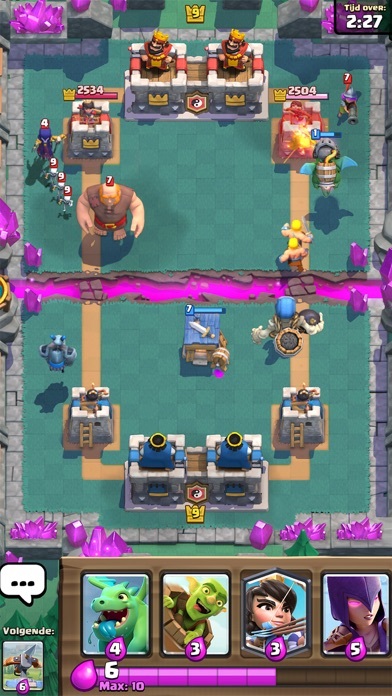 Clash Royale echt super tof!!!!!!!! !